This wine is always good, year in and year out. The 2012 drinks like a polished Cabernet that costs much more than the $20 you'll likely pay for this. Chile is still a value, for sure. 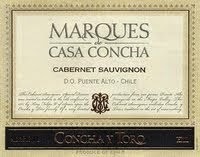 It has dense fruit and integrated layers that give it depth and persistence. Pair with meat dishes and enjoy. Raise a glass!